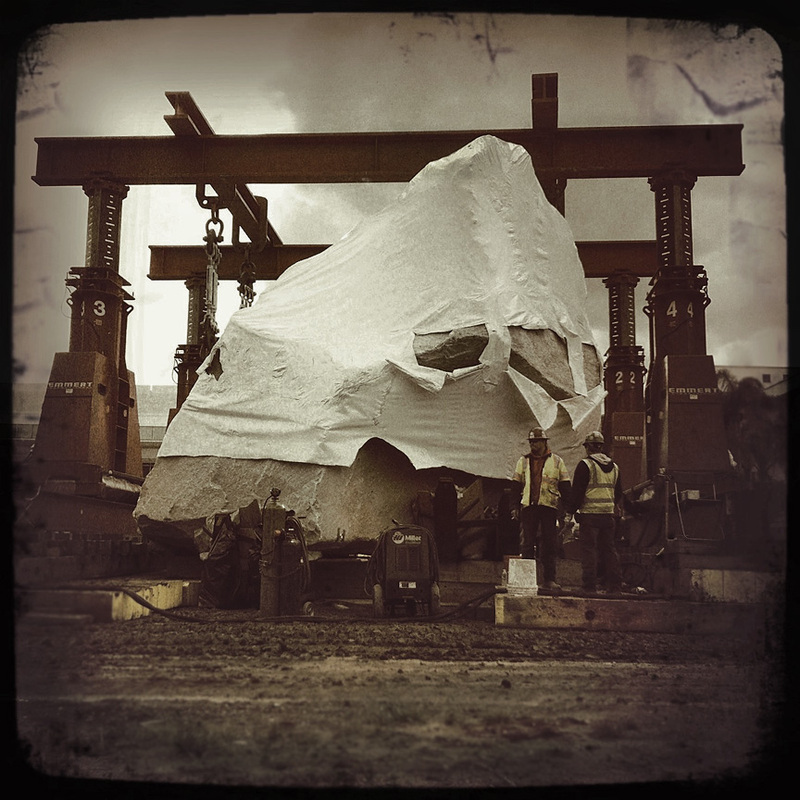 The rock that will be part of the "Levitated Mass" exhibit is now getting separated from it's carriage. Workers were seen cutting away metal supports with welding torches on the LACMA grounds. Most of the white plastic covering is still on the rock, along with a new gantry crane that will move the rock into it's final position.